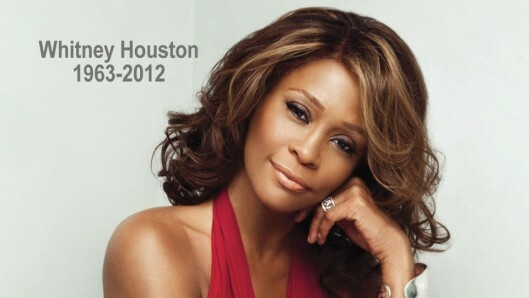 On February 11, 2012, legendary singer, Whitney Houston, passed away. Houston was found in her hotel room in Beverly Hills, California. Cause of death is not confirmed yet, however, there are speculations that drugs and alcohol played a role in her passing. And those are just a few. Whitney has made her mark in music history in the early 1990’s with songs like “I Will Always Love You,” “I Wanna Dance With Somebody,” and “How Will I Know”. Whitney Houston became a pop star icon whose music stands the test of time. Generations still sing her songs and know her lyrics by heart. Although Houston publically battled with drugs and hardships, she is still respected by her peers and fans. Proving her rare combination of talent and versatility, Mrs. Houston also starred in many major motion pictures, a leap that very few pop artists can ever successfully achieve. Recognition for her acting talent came when she won “NAACP Image Award for Outstanding Actress in a Motion Picture” for her role in “The Preacher’s Wife.” She also guest starred in a few television shows while appearing in numerous commercials. But Mrs. Houston’s work weren’t limited to on-screen – she was the Executive Producer for “Rodgers and Hammerstein’s Cinderella” (which was nominated for an Emmy), and Producer for “The Princess Diaries 1 and 2”. Whitney Houston’s talent made her the legendary icon she will always be remembered by. Although her passing was unexpected and much too soon, she remains a force to be reckoned with. Many people have different words used to describe her, but brilliant, talented, exceptional, intense, and gifted are but a few. It is truly devastating to see Whitney Houston pass away this early in life, however, her legacy will continue to live on and her voice will never stop entertaining her fans and inspiring future stars. This entry was posted in The MG Blog and tagged Legend, movie, Music, RIP, Star, the bodyguard, the preachers wife, waiting to exhale, Whitney Houston by arianned. Bookmark the permalink.